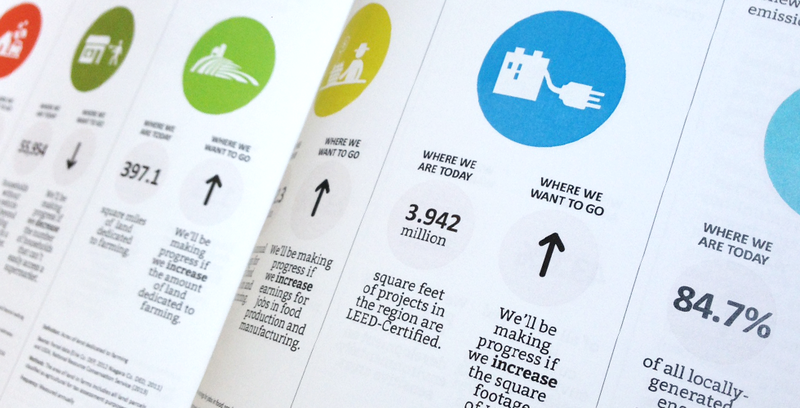 One Region Forward is made possible by the Sustainable Communities Regional Planning program from the U.S. Department of Housing and Urban Development (HUD). The program is part of the federal Partnership for Sustainable Communities, a collaborative effort between HUD, the U.S. Department of Transportation (DOT) and the U.S. Environmental Protection Agency (EPA) to coordinate federal investments in smarter ways and to help regions develop plans and strategies that tackle the inter-dependent issues of housing, land use, transportation, environmental stewardship and economic development. 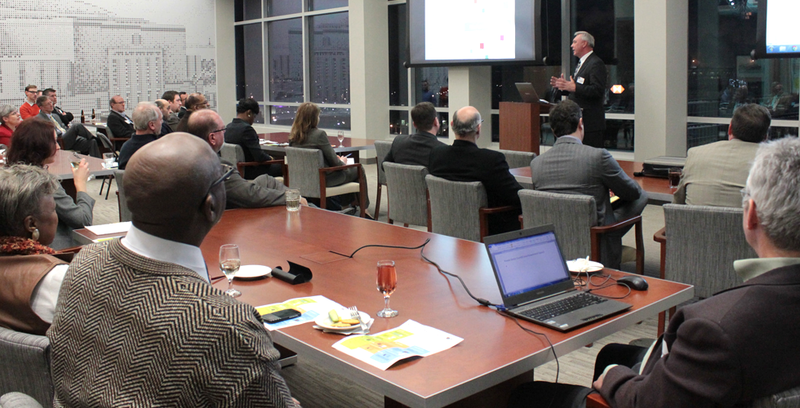 The Erie and Niagara County Consortium leading One Region Forward was one of 29 communities out of 140 applicants nationally to win this competitive grant in 2011. UBRI is serving as the Regional Sustainability Team coordinating the research, planning, community engagement and technical analysis for One Region Forward. The primary deliverable of One Region Forward will be a Regional Plan for Sustainable Development, a federally recognized document that will give our region priority status for funding opportunities today and into the future. This will serve as a practical roadmap for improving mobility, promoting more efficient land use patterns, strengthening our basic infrastructure, growing a 21st century economy, ensuring broad access to healthy food, protecting housing and neighborhoods, and mounting our region’s response to the challenge of global climate change. But this is more than just a plan. One Region Forward will push implementation by bringing together key actors to advance community priority projects that will produce lasting benefits for both our economy and quality of life. It will prepare our civic and business leaders to make smart decisions by providing online tools and technical assistance to show how sustainability can work here. Most importantly, this effort is about empowering the people of Buffalo Niagara to be a part of the process in driving positive, sustainable change for their communities. In recognition of the broad based, community-driven effort that shaped One Region Forward, the American Planning Association (APA) awarded the initiative the National Planning Achievement Award for Public Outreach at the APA’s national conference in Phoenix. One Region Forward was one of fifteen awardees recognized for 2016. 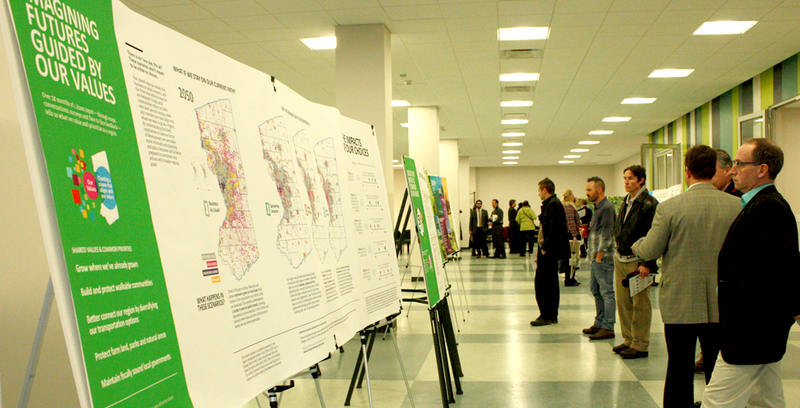 The Citizen Planning School was developed in partnership with UB’s School of Architecture and Planning to engage and empower community members to plan changes in their communities. 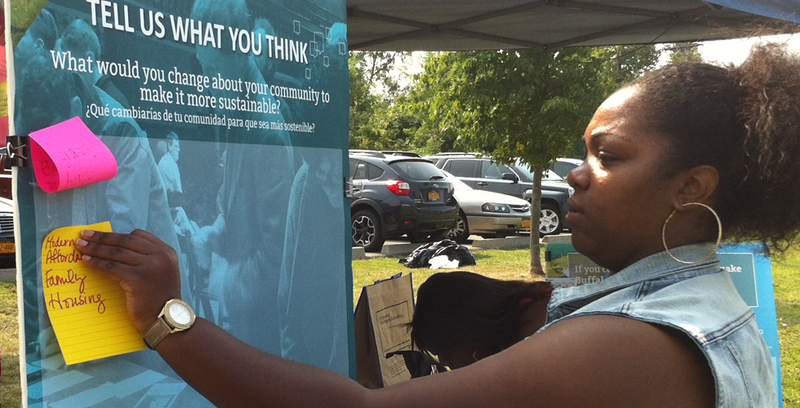 The Citizen Planning School assists community members with leveraging planning tools to implement sustainable change in Erie and Niagara counties from the ground up. Citizen Planners and Champions for Change were celebrated at the Idea Summit held in October 2014. Throughout 2014, Champions worked with technical staff from One Region Forward to develop ideas and action plans for a sustainable initiative in their community. Working together for sustainable development in a diverse and complex region means finding a way to let in all of the many differing voices of our citizenry. 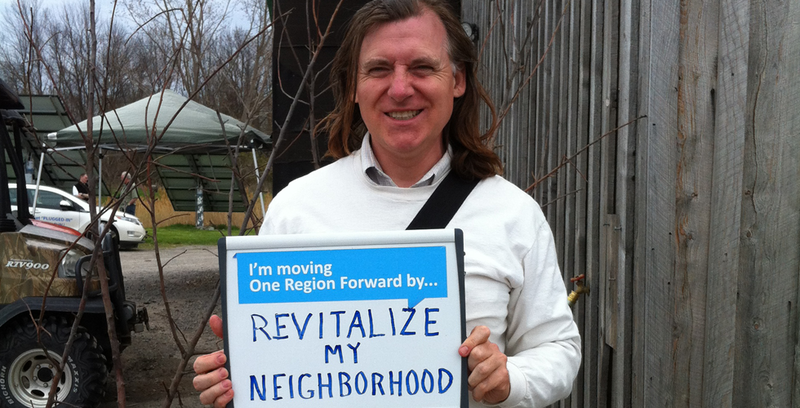 One Region Forward provides a way for broad community leadership, elected officials, the business community, our expansive network of community based organizations, and concerned citizens from city, suburb, village, and rural areas to participate in a conversation that drives planning and action. To ensure collaboration across the spectrum, several channels were established at the outset and continue to be engaged throughout the process of One Region Forward. Erie County, Niagara County, City of Buffalo, City of Niagara Falls, Association of Erie County Governments, Niagara County Supervisors Association, Daemen College Center for Sustainable Communities and Civic Engagement (CSCCE), VOICE Buffalo, Local Initiatives Support Corporation Buffalo (LISC), Western New York Environmental Alliance (WNYEA), Buffalo Niagara Riverkeeper, The John R. Oishei Foundation, Buffalo Niagara Medical Campus (BNMC), Belmont Housing Resources for WNY, Inc. (Belmont), Empire State Development, New York State Department of State, Division of Smart Growth, Niagara County Department of Social Services, and Niagara Falls Housing Authority. Sustainability represents a complex set of interrelated factors, with many uncertainties, incomplete information, multiple interests and public perceptions, and variations in size and scale. Because of this complexity, as a community, we have to rely on accurate, objective data and analyses to guide decision making and planning. It all starts with asking the right questions, and then seeking the data to uncover trends, see the patterns of opportunity and barriers in systems, and provide reliable forecasts for the future whenever possible. 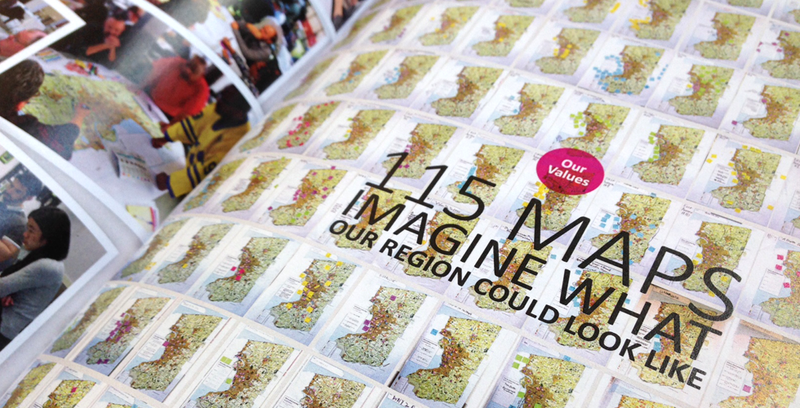 One Region Forward provides solid research to understand our situation, starting with a baseline of regional context, and asking the big questions: Where are we? Where do we want to go? Every data set tells a story. 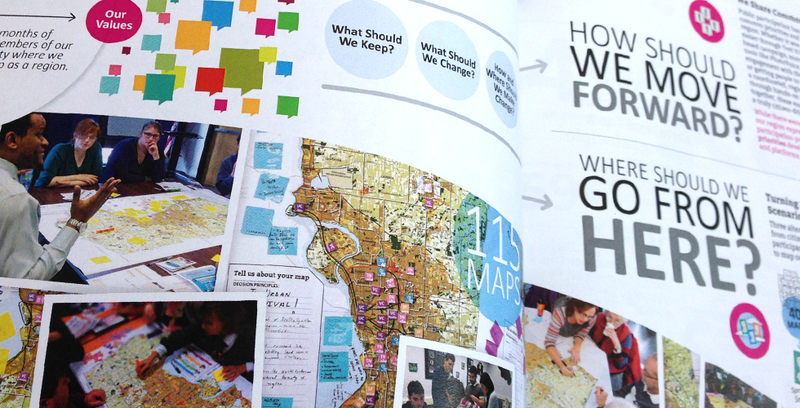 We worked with the community to explore the questions where data may provide some answers and context for the future. 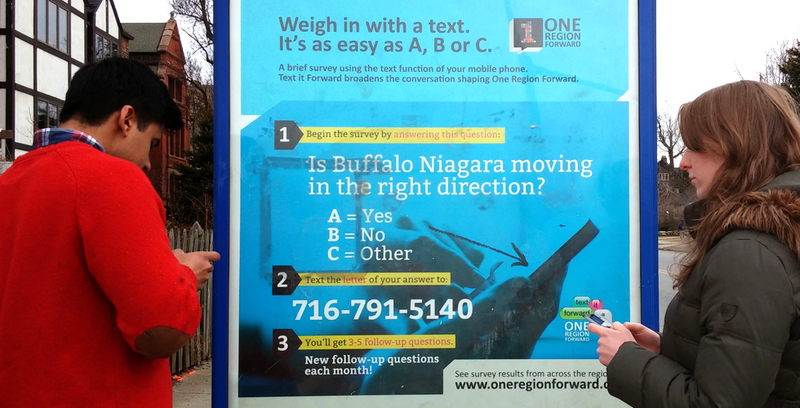 Because no effort to create a sustainable and prosperous region can succeed without the creative contribution and informed support of the citizens of the Buffalo Niagara Region, the One Region Forward process involves thorough and consistent engagement of the people it will impact the most. In the 21st century, outreach comes in many shapes and forms, and One Region Forward covers them all: in person learning, going out to neighborhoods, and all forms of social media and online/smart-phone engagement.